Postal Address: Editor “Khoj” Department of Punjabi Language & Literature, Oriental College, Allama Iqbal Campus (Old Campus), University of the Punjab, Lahore-Pakistan. • Journal of Department of Punjabi Language & Literature, University of the Punjab (JDPLL) is an open access, peer-reviewed and refereed journal published by the Department of Punjabi Language & Literature, University of the Punjab, Lahore, Pakistan. The main objective of (JDPLL) is to provide an intellectual platform for the national and international scholars and JDPLL aims to promote interdisciplinary studies in humanities and social sciences. • The journal publishes research papers in the fields of humanities and social science such as Punjab & Punjabi Language & Literature, comparative cultural studies, religious studies, Social & Political Culture, Colonialism and its effect on literature, Feminism, Folklore, communication studies, cross-cultural studies, development studies, education studies, eco-criticism, ethics, history, methodology, sociological studies, interfaith harmony, lexicology, performing arts (music, theatre & dance), visual arts, and so on. • JDPLL publishes original research papers, review papers, conceptual framework, analytical and comparative studies and book reviews. Special Issues devoted to important topics in humanities and social sciences will occasionally be published. The journal is published in both print and online versions. 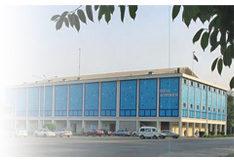 The Research Journal “Khoj” Department of Punjabi Language & Literature, Oriental College, University of the Punjab (ISSN # 1992-6545) provides immediate open access to its content on the principle that making research freely available to the public supports a greater global exchange of knowledge. Research Journal “Khoj” Department of Punjabi Language & Literature, University of the Punjab is recognized by Higher Education Commission of Pakistan and it is a double blind peer reviewed journal. It is committed to publish research articles, scholarly critiques and contributions to domestic cultural heritage, literature and contemporary or historical interest, with particular reference to South Asia and world. Journal of Department of Punjabi Language & Literature (JDPLL) is a research journal with a broad scope in Punjabi and allied disciplines. It is published by the Department of Punjabi Language & Literature, University of the Punjab on biannual basis since 1978. Higher Education Commission of Pakistan has placed Journal of Department of Punjabi Language & Literature (JDPLL) in “Z” category, and it has been indexed and abstracted in Trenlogic, Logical System Solutions, 25 Sheppard Ave West Suite 30 Toronto Ontario (Canada) M2N 6S6. It is our pleasure to inform you that for the next issues of JDPLL we need your contribution in JDPLL. You are invited to submit your original papers based on qualitative research, research articles for the forthcoming issues of JDPLL. Please see Instructions for Author to help you in preparing your paper according to the requirements of JDPLL in order to avoid delay in the review process.